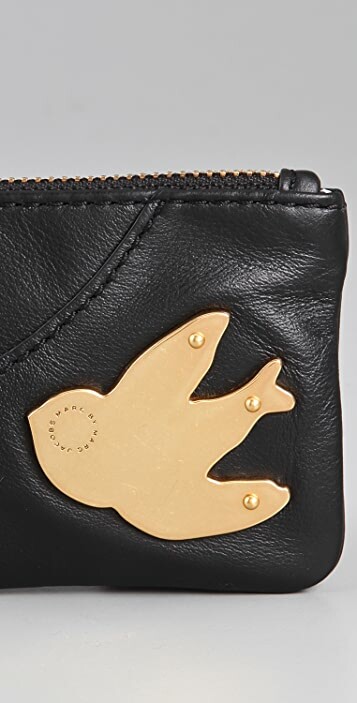 This leather key pouch features a bird-shaped logo plate and an asymmetrical seam at the front. Zip closure. Lined interior features key ring. 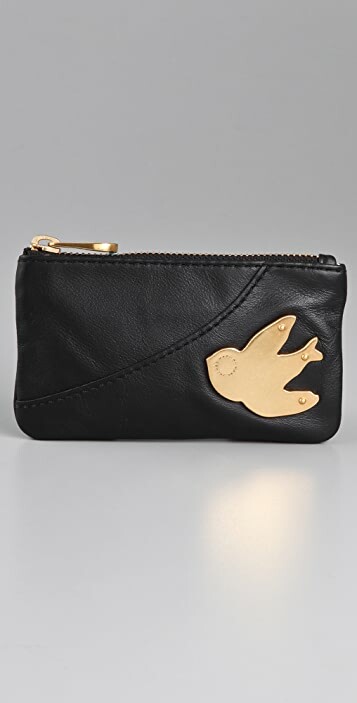 Bought it in black to match my PTTM wallet and bag and love it! Leather is surprisingly soft. 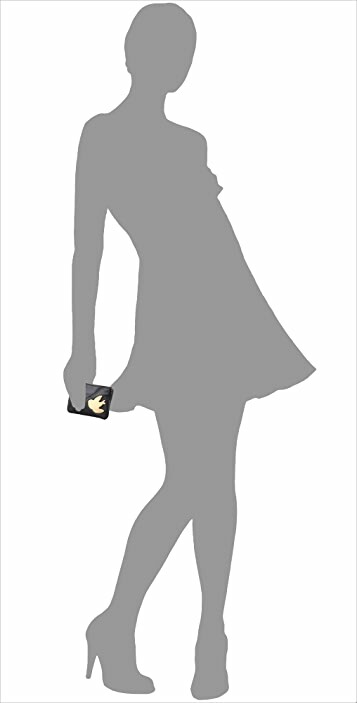 I have this one in espresso and the pink color and they are absolutely gorgeous. It is really good quality leather and so soft I have had my brown one for seven months now and not a single sign of wear on the leather and I use it every day in my jacket or purse filled with stuff. 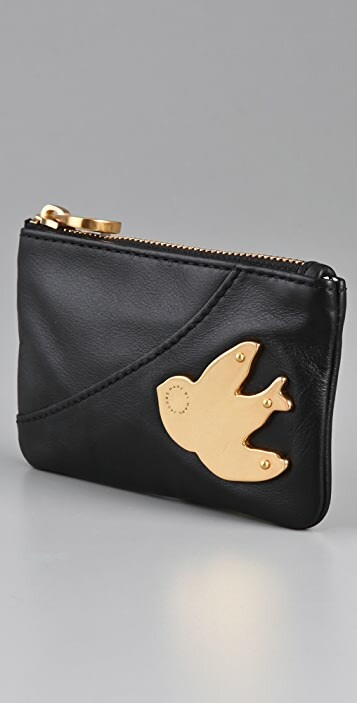 Its such a nice little wallet for your cards or keys. Love it!